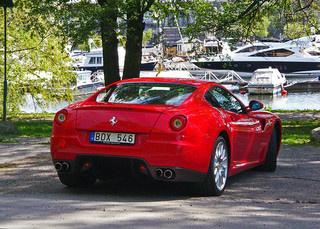 The 599 GTB Fiorano sports car had its debut at the 2006 Geneva Motor Show following the decision by Ferrari to discontinue the 575M Maranello earlier that year. 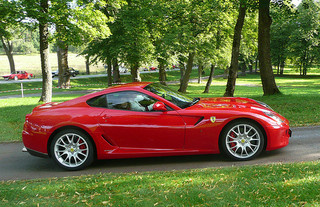 As in the case of its predecessor, the "599" referred to its 5.999 litre engine, and the "Fiorano" identified Ferrari's private test track. It carried a price tag of $302,000. Pininfarina was once again responsible for styling this two seater Berlinetta, and introduced a redesigned roof line, and restyled part of the rear section. The existing electronics were replaced by the Manettino system, which monitored the engine and braking to ensure optimum delivery of power. When choosing either the Race or Sport-mode, the new traction control system, called the F1-Trac, and fitted to the front-engined Fiorano, would ensure the most effective traction for the rear wheels. The Fiorano had greater interior space than the previous Maranellos, and it was the final Ferrari to utilise a steel chassis. It was fitted with dampers that contined a special fluid that allowed the driver to adjust the level of damping to suit his needs. 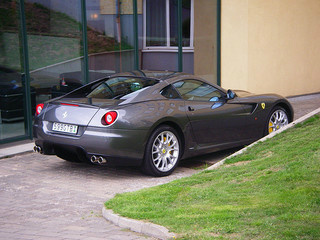 This system significantly smoothed out the bumps when compared with the previous Maranello model. With a marginally lighter engine and a slightly longer chassis, this meant that almost all the weight was situated between the front and rear wheels. An option aimed at use on the track included brakes made from composite material, a full harness, and a cockpit rollover bar. 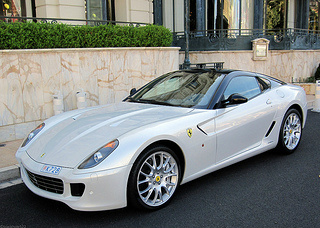 The 599 GTB Fiorano sports car was powered by a 6 litre, V12 engine, with four valves per cylinder, an aluminium head and block, and a compression ratio of 11.2:1. This developed 612 bhp at 8400 rpm, and 448 ft/lbs of torque. It was, in fact, the most powerful engine used so far, and the torque produced was also a record for a GT car by Ferrari. 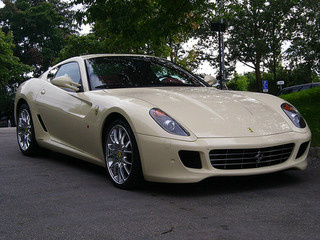 The Fiorano produced a top speed of 205 mph, a shade faster than the 575M Maranello, and a 0-62 mph time of 3.7 secs. It was fitted with either a six speed manual gearbox, or there was the option of the electro-hydraulic paddle-shift selector, which was referred to as the F1 Superfast. On the second hand market, a Ferrari 599 GTB sports car in good condition could sell for anything between $140,000 and $160,000.